River Bypass Pumping using two National Pump & Energy hire pumps. 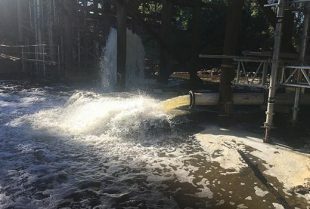 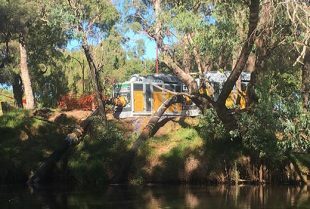 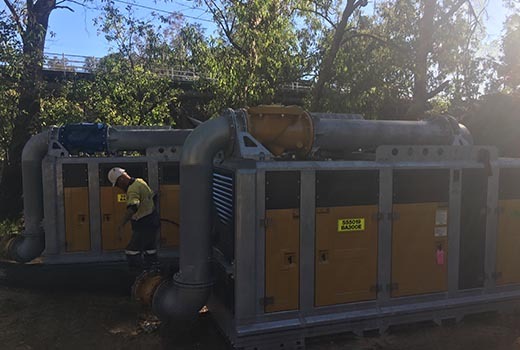 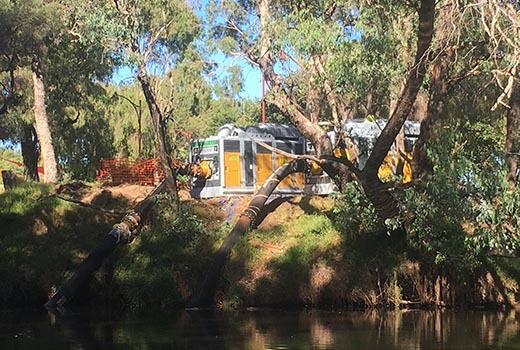 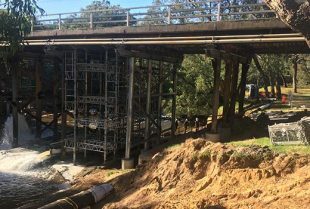 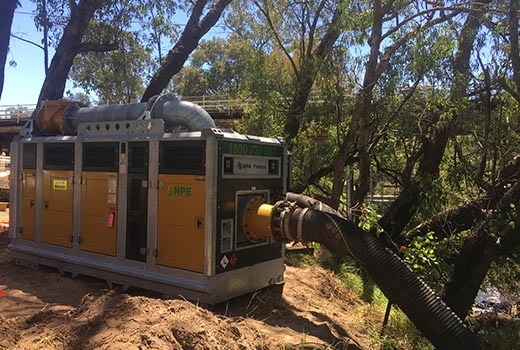 This NPE pumping solution solved a massive problem facing the company completing a bridge refurbishment that needed to remove the water to perform the works. 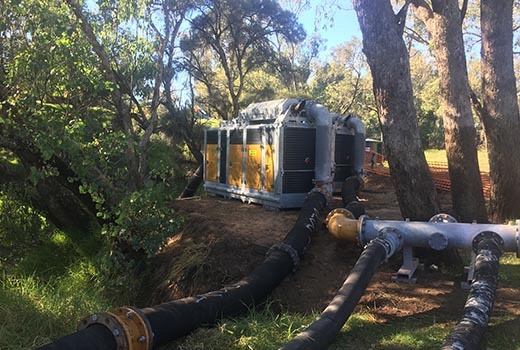 The impressive pump hire setup installed by NPE consisted of 2 x BBA BA300 canopy pumps with a designed duty capable of approximately 800 litres a second.